Hello and thanks for visiting. 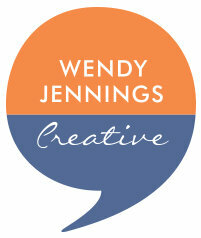 I’m Wendy Jennings a skilled copywriter, proofreader and content editor with over (eek!) 25 years’ experience. My love for the English language stems from a successful career in advertising which started back in the late 80’s and since then I have enjoyed working for some of the UK’s leading blue-chip companies. I’ve been privileged enough to work with an impressive group of clients including British Gas, The NSPCC, Marie Curie Cancer Care, Grolsch UK, Staropramen, Budvar, Asahi, Cancer Research UK and GlaxoSmithKline to name but a few. I’ve worked with tabloids, broadsheets and trade publications and am still very proud to be have been part of the Bass PLC team when the first, and rather controversial, alcopop ‘HOOCH’ was launched. Even to this day, a wry smile can be found on my face when I see those bottles on the shelf in the supermarket booze aisle! I’ve experienced both commercial and agency life and like to think that I am a personable and professional character who forges strong and lasting relationships with my clients. Listening is an important skill in my business; I invest time in my clients so I understand every aspect of their business, which allows me to soak up their brand identity and produce great results for them. Clients are always amazed by my ‘brand sponge’ ability; how do I do it? No idea! I decided to ‘go it alone’ back in 2011 when I founded The Admin House; the home of clever copywriting and creative thinking. 2017 sees a rebrand for me as Wendy Jennings Creative. My services remain the same, my clients buy into me and my skill - I am my brand; The Clever Copywriter, so I've moved out of The Admin House! I work on a freelance basis with sole traders, SME’s, big brands and creative agencies and I am proud of my established and exciting client base made up of businesses who understand the value and the need for perfection in both their online and printed material. With an exceptionally keen trained eye and a flair for words, I’ve developed a range of services which continually benefit businesses across all sectors. So, if you’d like to grab a coffee with me and start to explore where great copy can take your business, that would be super. I love to learn about my clients and they love to learn about me. If you like cats, sunshine and good white wine, we’re already half way there.